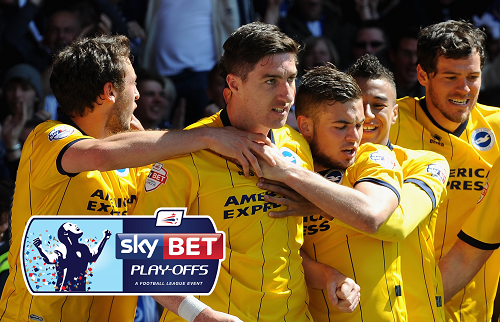 Simplestream has been chosen by Sky Bet to support the streaming of all of the Sky Bet Championship, League 1 and League 2 Play-Off matches for Sky Bet customers to access as the exciting 2013/14 season draws to a close. The Football League Play-Offs kicks off today on Thursday 8th May at 7:45pm, with the first match, Brighton & Hove Albion against Derby County. Simplestream’s low latency technology and proprietary Media Manager Events Module was selected by Sky Bet to deliver the month long trial to UK fans. Covering all the 15 crucial matches, the deal will enable Sky Bet customers to watch all the drama unfold live across all matches. The matches will also be broadcast via Sky Sports usual television and digital platforms. Sky Bet are the UK’s fastest growing online Sportsbook and Director of Products, Conor Grant commented; “We are delighted to be working with Simplestream. They have proved to be flexible and effective at meeting our requirements in an extremely short time period. As the official sponsor of The Football League and the Play-offs, streaming all 15 games to Sky Bet customers is a really exciting initiative and we are really pleased with the Simplestream technology solution”. This is the latest high profile deal for Simplestream, who in the past months have launched popular TV streaming app TV Player - coming soon to connected Freeview - and who have partnered with music channel provider The Box for its Box+ service.